Contact Types have been changed to Contact Groups. Contacts can belong to more than one Contact Group. New Data Management Module that allows you to create data flow maps of personal data within your organization using a visual editor. Note: The Incident Registration Manager is only available in the Web Interface, and is licensed as a part of the Business Continuity Management module. Documents can now be managed within the Web Interface: Create, update, and delete documents and folders on the Web. The data between Business Entities tab and Assets tab is now synchronized – editing/adding items in one window is immediately reflected in the other window. Previously the data needed to be saved, and refreshed in the other window. Fixed an issue where it was possible to delete a Control Maturity Assessment that was associated with a Risk Treatment. This would leave the Risk Treatment inaccessible within the program. Fixed incorrect asset category hierarchy listing in the Asset Browser tree. Assets can be created directly under a Business Entity and therefor associated with that BE, but the Asset is also available to associate with other BEs as needed. You can view all Assets under the Common->Assets and review the associated BEs, Categories, and Risks. Threats/Risks can be added directly to an Asset within a Business Entity, thus allowing for an asset to have different AssetRisk associations under different BEs. When adding Categories to Assets, if the Asset is associated with a BE, the Asset will be assocaited with the Risks based on the ThreatCategory connection for that BE only. It is important to note that Categories are associated directly with the Asset, but Risks are associated with the Asset within a Business Entity. If the Asset is shared between multiple Business Entities, the Asset can have different Risks for each BE. An Asset can’t have associated Risks unless it is within a Business Entity – a significant change from previous versions. The Asset interface now allows you to browse Assets by Categories. The Asset interface shows what Business Entities the Asset is associated with. When adding an Asset to a Risk Assessment, the only Assets available for that RA are Assets that belong to the designated BE when creating the new RA. The list of Risks for an Asset evaluated in the Risk Assessment will be the same list of Risks associated with the Asset under the Business Entity. The Threat list interface has been rewritten to show Threats grouped by Threat Type in a tree structure. Threat Types are now created in the same interface as Threats. The Threat Type node has been removed from the main navigation tree. Embedded ̶ The document is imported and stored in the RM Studio database. You can store any type of file in this manner. External ̶ The document is stored as a file external to RM Studio on a file system or URL. 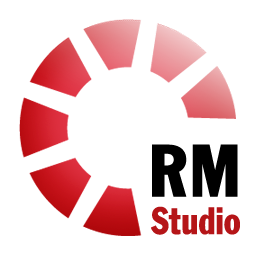 New: RM Studio Document ̶ This type of document is stored as HTML text within the RM Studio database. The document contents are modified within RM Studio using a rich text editor. This type of document can be viewed directly using the RM Studio Web Module. Added ability to view Documents on the web, except external files. The new type, RM Studio Documents, can be browsed and linked to as web pages. Top 10 risks: Displays top ten Risks by Inherent Risk Score for Risks that the current user is the Risk Owner of. Redesigned the look of the sidebar and added a collapse icon. Note: This version does not require a database update when updating from 5.3.0. ISO 13485:2016 – Medical devices – Quality Management Systems. New Risk Analysis report: lists the threats and mitigation controls from the Risk Treatment plus associated assets summary. The Standard Mapping Sets feature defines mappings between Standards/Regulations. The Rich Text Editor has been upgraded. The Standards and Controls section UI has been revised. Fixed a recent issue, where copying an Asset in the Asset List produced an error. Added the ability to assign related controls from other standards to standard controls. By implementing the set of related controls in a Gap Analysis or Risk Treatment, it is considered that the control is implemented as well.The system comes with predefined mappings between Cloud Controls Matrix 3.0.1 and ISO 27002:2013 for users who have both standards licensed and deployed.Existing users who have already deployed both standards will need to go to Menu -> Properties -> Standard Data, select either ISO 27002:2013 or CCM 3.0.1, and click the Deploy Standard button. This will redeploy the standard and add the mappings. Added a new report, “Control Implementation Comparison”, which uses the new related controls to check the implemention of a related standard against a current standard implementation in a Risk Treatment. Changed Risk Treatment reload functionality. Reloading changes from Gap Analysis or Risk Assessment now updates the Risk Treatment only with the changes made since the last reload. If no changes have been made to the Gap Analysis or Risk Assessment, then the Risk Treatment remains unchanged.Previously the reload function would reset any Risk Treatment changes made by the user since the last reload.Note: Risk Treatments created before version 5.2 will do a “full reload” for the first time they are reloaded after update. This means potentially overwriting changes made by the user. It is now possible to manually add and remove risks from Risk Assessment risk tasks. Previously the list of task risks was automatically populated based on the risk owner and could not be modified by the user.